Home > Mood Supplements > Why is the Melissa Herb a Mood Ehancer? What's in a name? Also known as lemon balm, the Melissa herb, or Melissa officinalis, enjoys a wide reputation as a calming herbal supplement, and is also known to boost the immune system in people with autoimmune diseases. Few people know that it is a member of the mint family, and as such is often combined with other herbal supplements, such as valerian and chamomile, to soothe, bring intense relaxation, and calm mild anxiety. It is thought that while the Melissa herb originated in the Near East, it was brought to Europe by Benedictine missionaries who became aware of its medicinal properties while travelling abroad. In the Middle Ages it was widely used as a stress-reducer to calm, soothe and promote relaxation, and also helped people who suffered from digestion problems, such as bloating and excess flatulence. It's also used as an anti-inflammatory, anti-bacterial and antiseptic. For many people, taking Melissa herbal supplements helps them improve levels of relaxation and better their mood. It's a bit similar to lavender, which also has soothing as well as antiseptic qualities. Whether used as an aromatherapy oil, swallowed as a herbal supplement or used as a topical ointment, it can help get you in a better mood. Scientific studies have proved that Melissa works. In one of the most recent one, volunteers were given either a placebo or extract of lemon balm in a recent study to see if their moods improved and anxiety levels decreased. The outcome was a positive one, largely because the herb is instrumental in helping the nervous system to relax. Melissa has been used for centuries to treat people for insomnia. However, in recent placebo-controlled trials conducted in humans it was mixed with other herbal supplements known to promote sleep, such as valerian. It is still unclear whether Melissa can work as a natural sleep aid on its own, but it is thought to work by relaxing the nervous system, which in turn decreases anxiety levels and helps with a peaceful sleep. Melissa has also been know to help people with cold sores, and ointments containing lemon balm are often applied to children with cold sores around the world. In recent trials, adults with cold sores who applied an ointment containing lemon balm to their lips saw redness and swelling subside, although pain and scabbiness did not decrease. More tests are underway, but is so effective that a herpes remedy containing lemon balm is already popular in Germany. Melissa can be taken in many forms. Lemon balm herbal supplements are made from the leaves of the plant, but you can also buy dried leaves (for tea), essential oils, tinctures and capsules, as well as ointments. No known side effects have been reported but pregnant and breastfeeding women should avoid herbal supplements containing lemon balm. Additionally, it is thought that they may react with sedative or thyroid medications. With its fragrant aroma, the plant attracts honeybees, which is why its species name, Melissa, actually means honeybee in Greek. Melissa is a common ingredient added to furniture polish, which is why so often the polish we use has that fresh, lemony smell. While the leaves resemble mint leaves in shape, their aroma is lemony. If you touch them your fingers will smell like lemons, not mint. The Melissa plant can be of value to people who are looking for a substitute for sleeping pills or other prescribed medications to either cure anxiety or promote sleep. 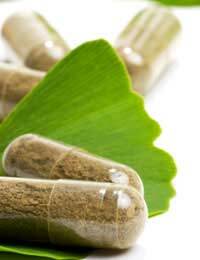 This natural herbal supplement appears to be safe for the vast majority of people, although always consult your doctor before taking any supplements of any kind. Best of all, it can be made into a fresh-tasting and delicious tea! Is it possible that Melissa tee can trigger high blood pressure?